A Texas law firm has been paying attention to drunk driving in the state, in order to answer the question: Where are you most likely to be killed by a drunk driver in Texas? Why ask the question? Drunk drivers are dangerous everywhere – they injure, kill, and cause sorrow and distress in every city and county. But perhaps focusing on fatalities will get the attention of those who have the ability to prevent this crime. A drunk driver, after all, kills one person every 51 minutes in this country. The list, compiled by Sutliff & Stout Injury and Accident Law Firm, uses TXDOT data to calculate which major towns and cities have the most DUI fatalities per capita. As it turns out, these cities are the ones that came out the worst. The numbers refer to the number of alcohol-related fatalities per 100,000 population. What can we learn from this list? The cities range from Houston, with a population of 2.3 million, to San Marcos, which has just 62,000 people. Geographically they are all over the map, and their economic and demographic profiles are different. Culture of Drinking and Drunk Driving. Drinking is more popular in some places than others, and drunk driving is tolerated more in some places as well. No one knows exactly why this is, but it might be that people tend to be more easygoing about letting friends drive drunk in Odessa than they are in, say, Frisco or Brownsville, which have low DUI fatality numbers. Enforcement presence. If you know you are going to get pulled over, you’re more likely to watch what you drink before driving. Cities with active sobriety checkpoints and DUI patrols not only catch more drunk drivers, but also warn other drivers to behave themselves. Interlock compliance. Texas has a good all-offender ignition interlock law. An ignition interlock, or car breathalyzer, prevents a vehicle from starting if the driver has been drinking. All those convicted of DUI are required to install the device. But not all offenders do. 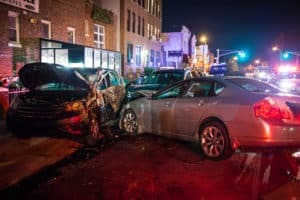 It’s very possible that some municipalities have a more lax oversight on interlock compliance, which means that it’s easier for first offenders to become repeat offenders who cause DUI fatalities. There may be other reason, and we hope that other public-spirited institutions follow the example of Sutliff & Stout and dig into the data to reveal more about how and why we drink and drive, and how we can prevent it.